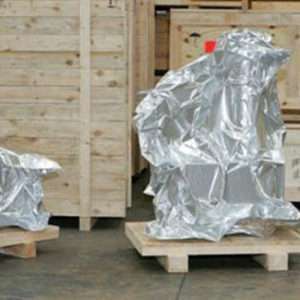 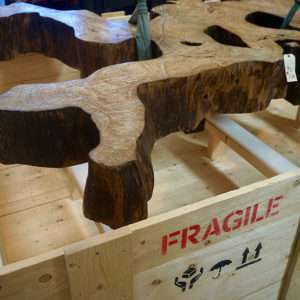 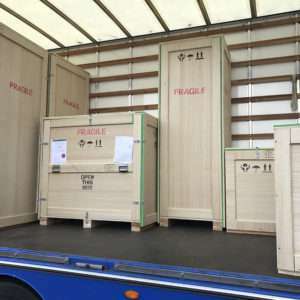 Ideal for export, our timber cases ensure that your valuables are fully protected from the elements of transportation. 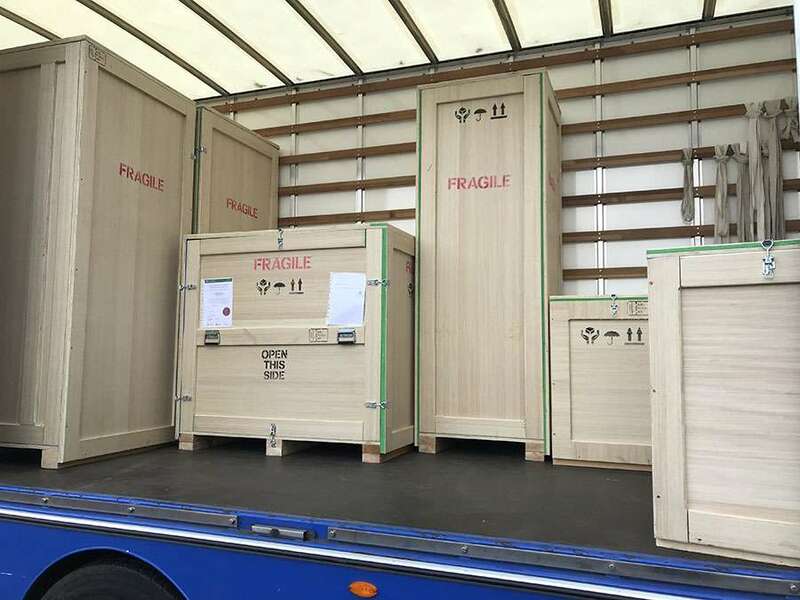 Our casemakers have over 50 years of experience, producing cases and crates for clients such as Maclaren, Kodak and Renault. 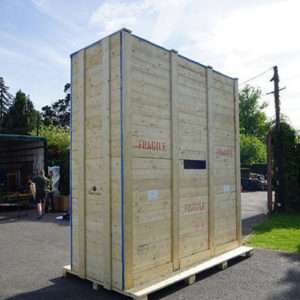 Timber cases are ideal for export. 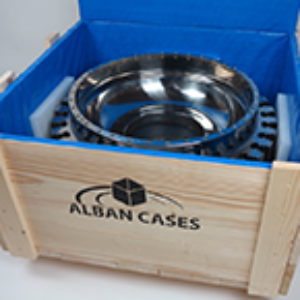 The fully-enclosed sides, ends and lid ensure that any items packed in the case are fully protected from the elements of transportation. 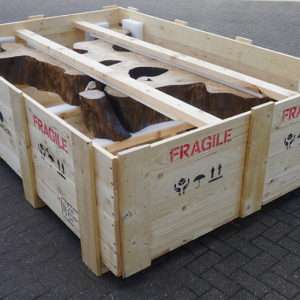 The bases are constructed to suit the weight and distribution of the item(s) being packed with the option of fully boarded softwood between 18-50mm thick with forklift runners and bearers. 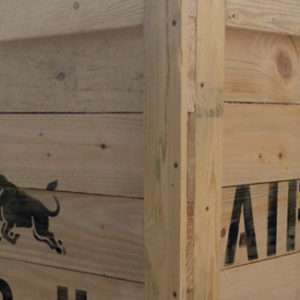 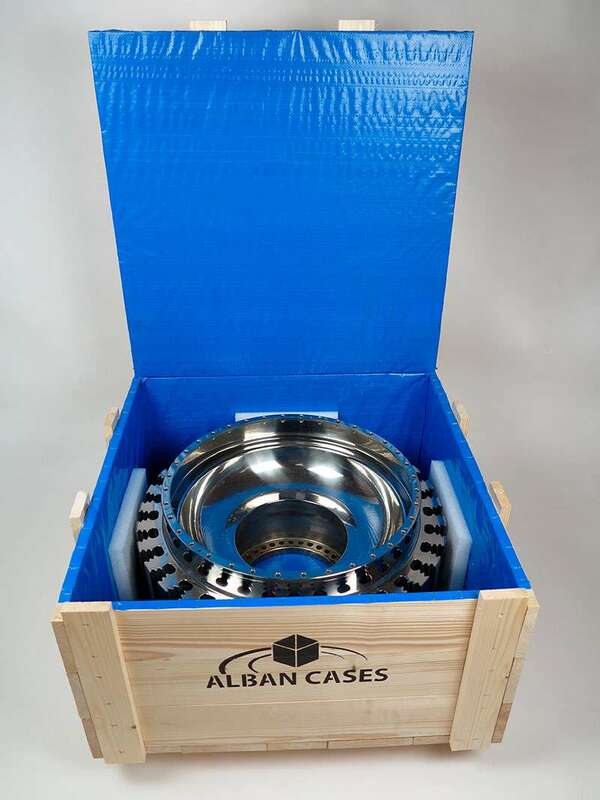 Alban Cases select the most appropriate materials for your Timber Cases and Crates. 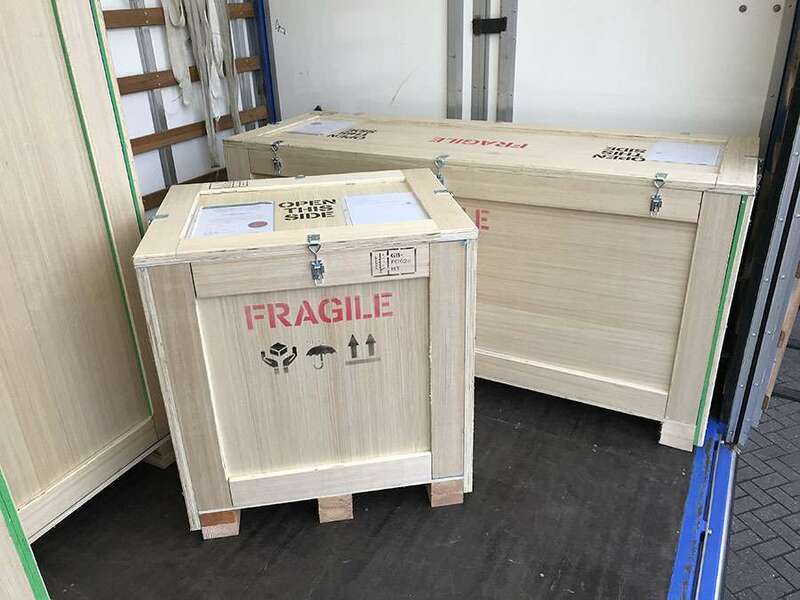 Consideration is given to the wooden cases environmental content. 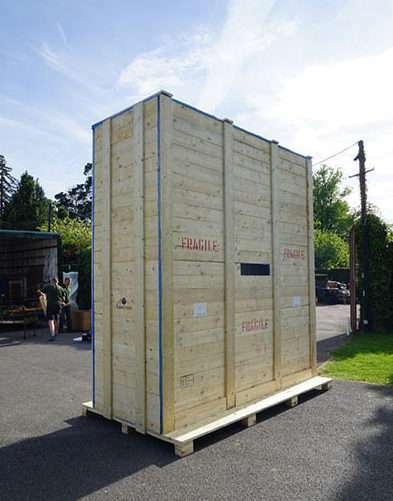 Cases are built to ISPM15 standard, using timber from sustainable forests that has been heat treated and fumigated. 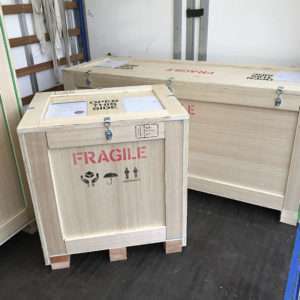 Our registration number GBFC0624 with the Forestry Commission (GB) ensures your case is accepted worldwide. 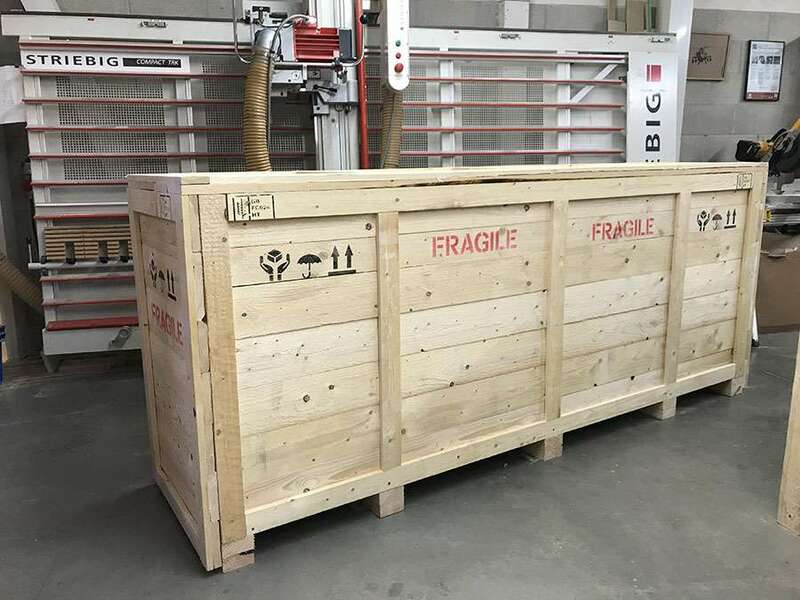 Our Timber cases can include Polythene Blue Liner – which protects contents from rain splash, Foil Bag for the protection of sensitive electrical components, and shock proof material to protect delicate equipment whilst in transit. 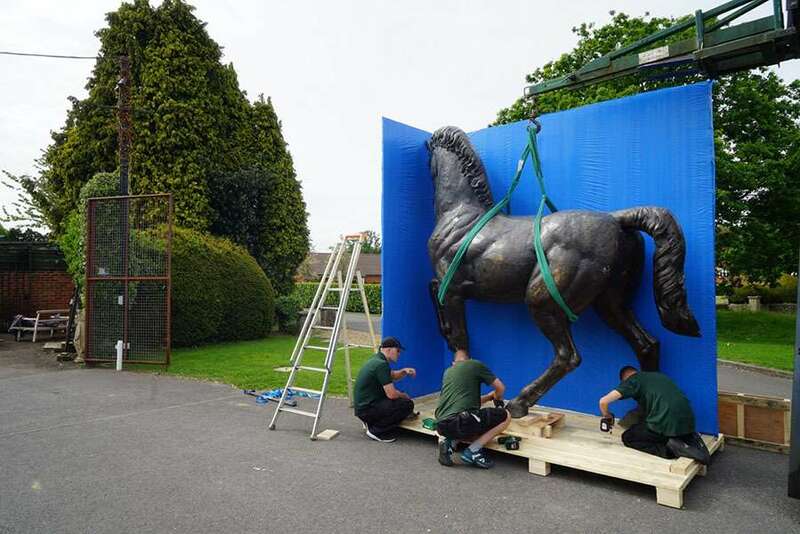 This timber packing crate was built on-site to transport a high-value bronze horse to the United States. 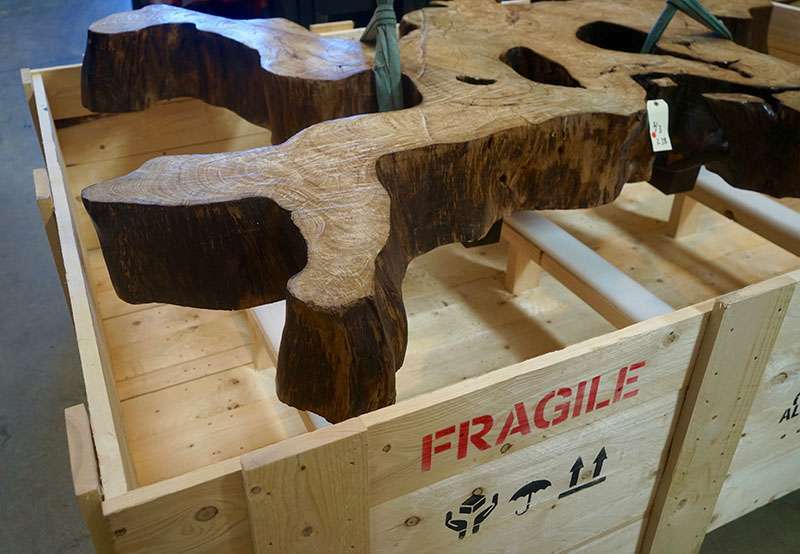 The fragility of the items that need packing. 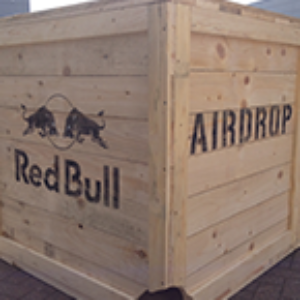 How the packed product will be stored, handled and transported. 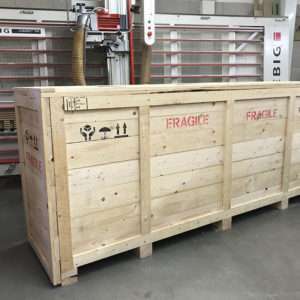 We can collect (or you can drop off) the goods to us so we can construct your box. 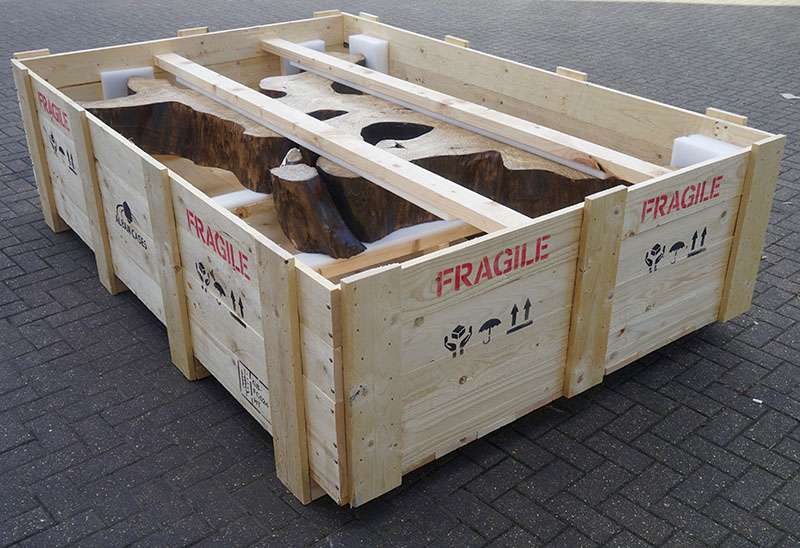 Timber cases are generally usually used for heavier / larger size goods which are being exported via sea freight. 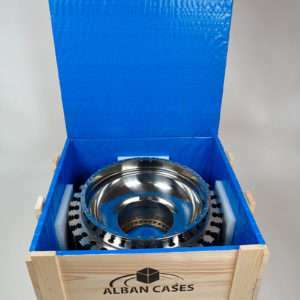 Typical uses include: Machinery, machine parts, engineering products, electronic equipment, metal, aviation products, plant equipment and M.O.D equipment and systems and more.